From 1965, Manufacturas Alhambra builds its guitars in the province of Alicante, in the workshops located in the municipality of Muro de Alcoy. More than fifty years of experience in the Spanish construction of traditional plucked string guitars and instruments, with a continuous investment in research and development. Constant innovation maintaining tradition, Spanish sound and the essence of Spanish construction. An example of this is the use of the "Spanish heel system construction". An innovation that goes through the original Alhambra bracings, as a result of design and constant research, together with the development of innovative finishes and improved ergonomics of the instrument. With a worldwide network of around 3000 points of sale distributed in more than 70 countries, Alhambra Guitars is the world leader in nylon string guitars. 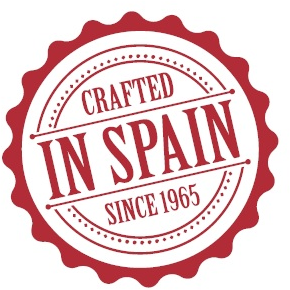 A distribution network based on a great effort and perseverance to get a Spanish guitar where required. The Alhambra Guitars brand is known all over the world, where the quality and the sound are valued in all its models. A variety of models that cover all needs, from popular music to the most careful music performed by virtuous guitarists. Alhambra Guitars has a complete range of traditional guitars and instruments. Classical, flamenco, acoustic, semi-acoustic (crossover) guitars, in addition to traditional instruments such as the lute, the bandurria or the requinto. All of them through a wide range that goes from the level from student to the professional level. Instruments elaborated in a careful way by professionals. Artisans who love their work and who consider each of their guitars as personal creations. In summary, they love each of those instruments. 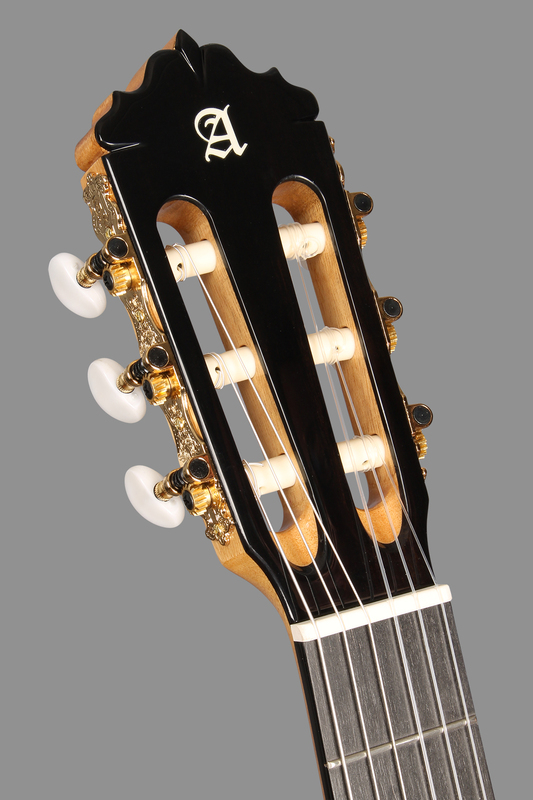 For the construction of the Alhambra instruments, noble woods selected in origin are used. It is a controlled process and the company follows all instructions recommended by the authority in the matter. A process that ensures the reforestation of species in the country of origin, a consumption of sustainable and totally controlled wood that constitutes Alhambra's active commitment to the Environment. This efficient management of raw materials offers the possibility of selecting high quality woods for the elaboration of the instruments. In fact, all Alhambra guitars are made with solid wood Cedar or Spruce top. The security of producing a high quality product allows offering an important guarantee. The Alhambra Guitars have up to 3 year’s guarantee in the country of purchase. In addition, the accessories used in the instruments, are products of important brands and that define guitars aimed at satisfying the demands of all guitarists. Alhambra Guitars is committed to culture and support for young guitarists. This goal led company to create the AIGC (Alhambra International Guitar Competition) in 1990. A biennial international competition, with important prizes, for which hundreds of guitarists have passed, many of them, interpreters that make up the first line worldwide. The last edition of AIGC, the XIVth Alhambra International Guitar Competition, was held in Valencia in June 2018.